Would your child love to celebrate his or her birthday by having a home party with all of their friends? Which leaves you wondering how to plan the activities, the food, the guest list, and how to sift through tons of birthday party themes in order to make this special day happen? Not to worry! This post will show you exactly how to throw amazing kids birthday parties in your own home that are magical for your kids, yet gentle on your budget! I am absolutely passionate about celebrating my children's big days with amazing kids birthday parties! I love hosting them at home and giving them fun themes that excites the birthday child and their guests! 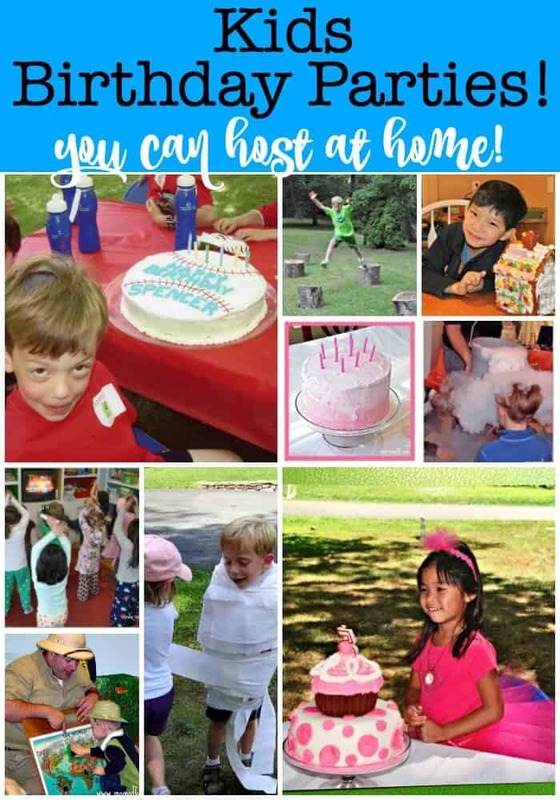 We've held dozens and dozens of parties over the years for our kids- and I love sharing our kids' party ideas here with you! Now I am NOT talking about those parties that look like they’ve been put together by a professional event planner with a generous budget, or by a Mom who worked for three weeks straight baking 6 different kinds of dessert and creating carefully-crafted decorations and party favors by hand. 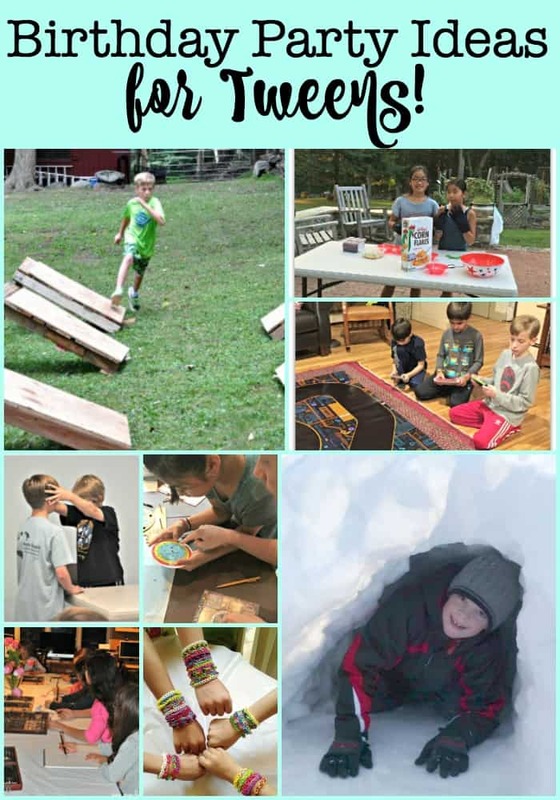 easy-to-pull-together party games for kids that you can do in your backyard or basement. homemade (yet simple!) cakes and snacks rather than forking over a big pile of cash for pizza and a sheet cake from the local bakery. party favors that guests will actually treasure rather than cheap plastic trinkets. The Most Important Thing About a Kids Birthday Party! Kids Birthday Party Themes for Preschoolers! 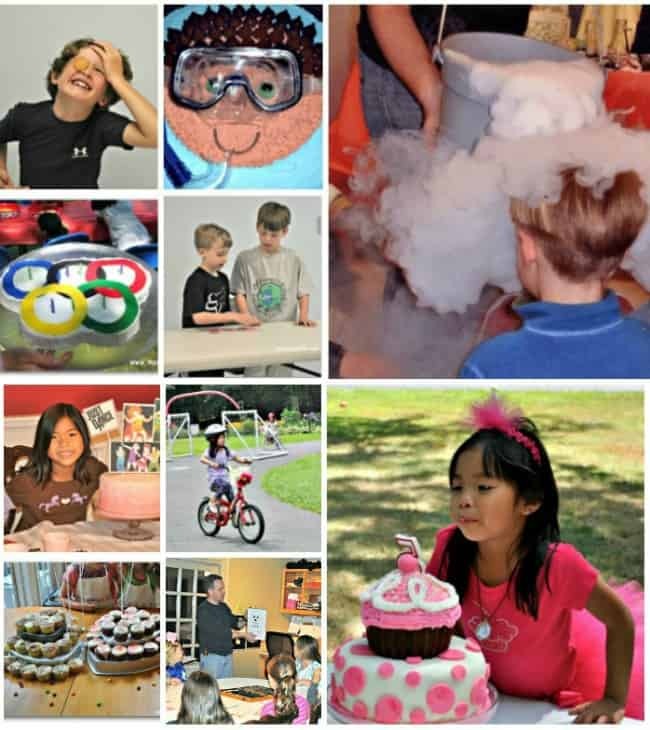 Kids Birthday Party Themes for Elementary Schoolers! Kids Birthday Party Themes for Tweens! I think the most important thing to keep in mind when you are planning a birthday party for your child, is that the birthday boy or girl has a fun and special time with their friends! That's what will make them feel special, and what they will remember years from now! I believe that birthday parties should be centered around the activities that the kids are going to do together. The games they are going to play, the crafts they are going to create. So when considering a party “theme”- think more about what the kids are going to do- rather than the character on the paper goods! The number of guests your child wants to invite impacts the kind of party you'll want to host. The larger the guest list, the more room you'll need for activities and crafts (having a backyard or a local park nearby is great for larger parties!). But determining a guest list can be tricky! For younger children- do you need to invite the whole class? (It can be hard for kindergarteners to remember not to talk about the party at school!) Maybe you can narrow down your guest list by only inviting members of the same gender (if that works for your child). Do you need to reciprocate birthday party invitations? In my opinion- no. 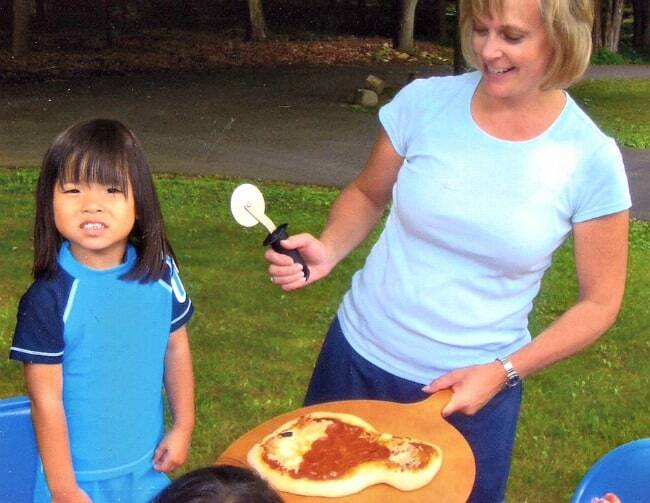 Just because Sally had a huge party and invited the whole class, and your child attended, doesn't mean you have to invite Sally if your child decides to host a smaller party. If your child has classmates with special needs- please don’t exclude them from your guest list because you are worried that you won’t know how to handle this child as a guest, or you just assume that a child on the autism spectrum or who is disabled wouldn’t want to come to your party. Err on the side of inclusion. You can always hop on a call with that child’s Mom and have her help you understand whether or not the party you have planned will work for her child. The biggest challenge when it comes to picking a date for your party- is working around the sports and activities that kids enjoy in your town. You obviously don't want to plan a 2 pm party if most of the kids are at soccer or dance class at that time. That being said- you'll never find a date and time that works for everyone! 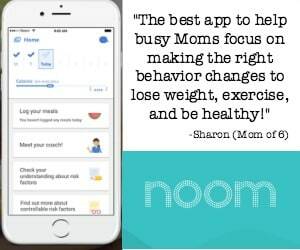 I suggest you consult with the Moms of 1 or 2 of your child's best friends to make sure that you are selecting a timeframe that works for them, and then set your plans. 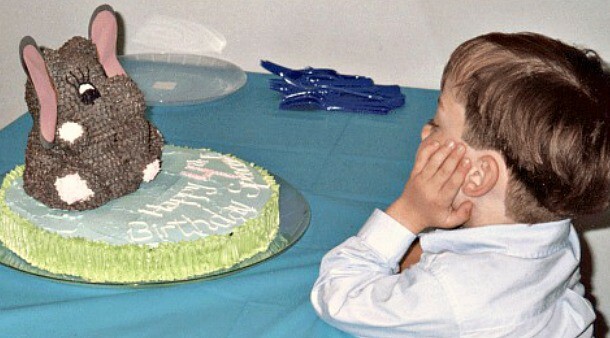 How long should a kids birthday party last? One of the biggest mistakes I think people make when planning a party is that they make it last too long! I think it’s better to have a shorter party- pack it with fun activities and then wrap it up while everyone is still having a good time. A good general guideline is 90 minutes or less for pre-schoolers, and 2 hours long for kids in elementary school. Right around when the kids start turning 8, the subject of sleepover parties starts to come up. 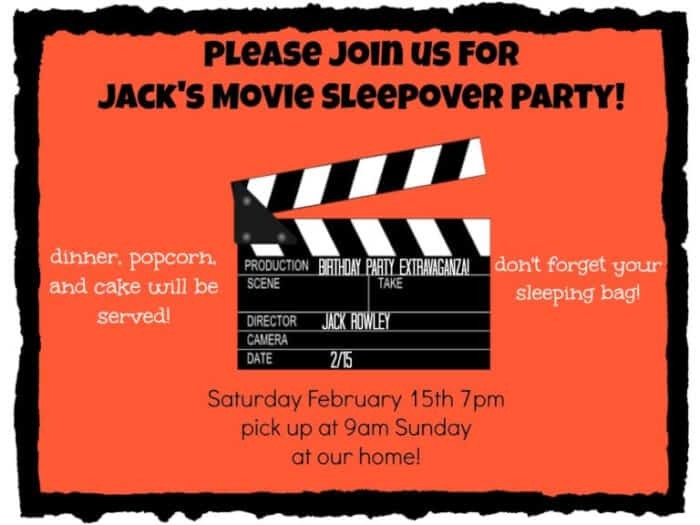 And there are LOTS of things to consider when it comes both to hosting a sleepover party, as well as sending your child to one. Not everyone will want to sleepover (some kids aren't ready to sleep anywhere but their own home, and some parents are not ready to allow sleepovers). So have a plan to include kids for the evening activities, who won't be staying over, and set a pickup time for after your games are done. Kids don't get a lot of sleep at slumber parties. Which means as a host, you won't either! Please let me be clear- I don't believe that party themes work specifically “just for boys” or “just for girls”. However, I have found that when parents are unsure of where to begin- searching for ideas by gender is often where they would like to start…. so here you go! Preschoolers are at such a magical age for throwing kids birthday parties at home! They love having their friends come over, play games, and they are thrilled with the party food and cake! The ideas below share some of the parties we've thrown for our kids as preschoolers! 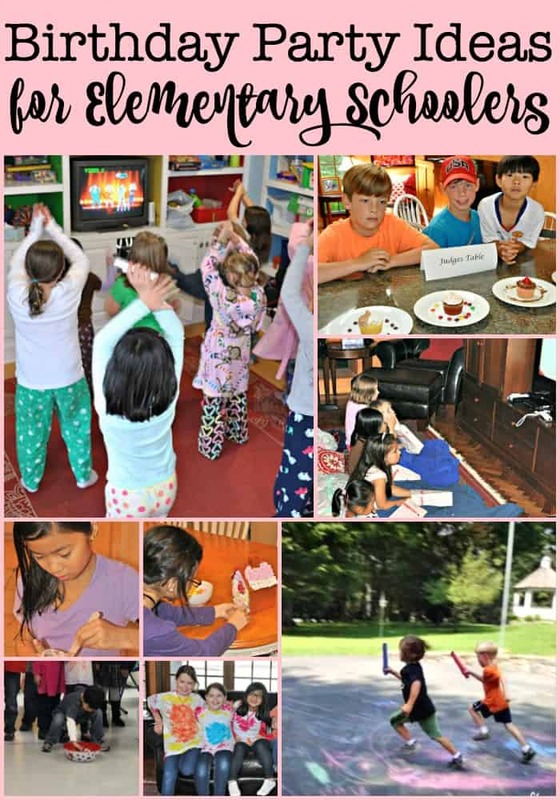 We have found that kids in elementary school really love themed parties- around Legos, the Olympics, tie-dye, tea & crafts, spa parties- these are all fun examples of easy birthday party themes you can host at home! Glow in the Dark Party Ideas! Did you think your 10, 11, and 12-year-olds would be done with birthday parties? Think again! They still love to celebrate their birthdays with their friends- but this is when we usually start to narrow down our parties to smaller groups of friends. At this age, kids love birthday party themes that are centered around favorite TV shows- The Amazing Race, American Ninja Warrior, Cupcake Wars, etc. Once you have decided your party theme, you need to break down the activity/entertainment part of the party into manageable pieces. I suggest planning out a timeline for the party starting with an opening activity that you can do as guests are arriving so that kids can easily join along as it is happening. Then plan 4-5 games or party activities that will take 10-15 minutes each. I like to allow 60-90 minutes for games, activities, and crafts, 30 minutes for food and birthday cake, and then plan a final activity that gets guests up and out the door and signals to everyone that the party is over. 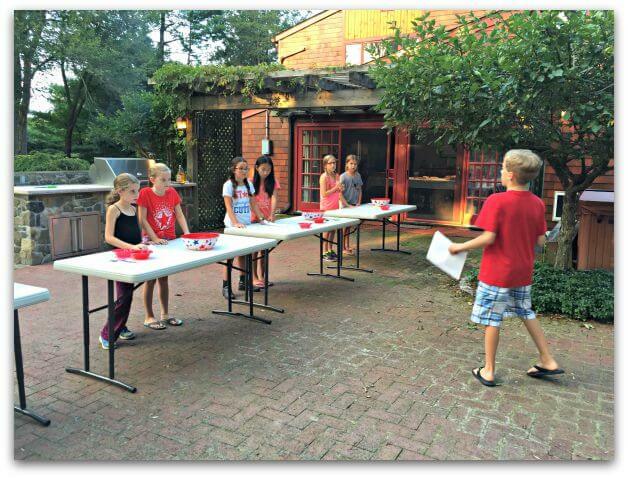 An outdoor scavenger hunt is the perfect party wrap-up! 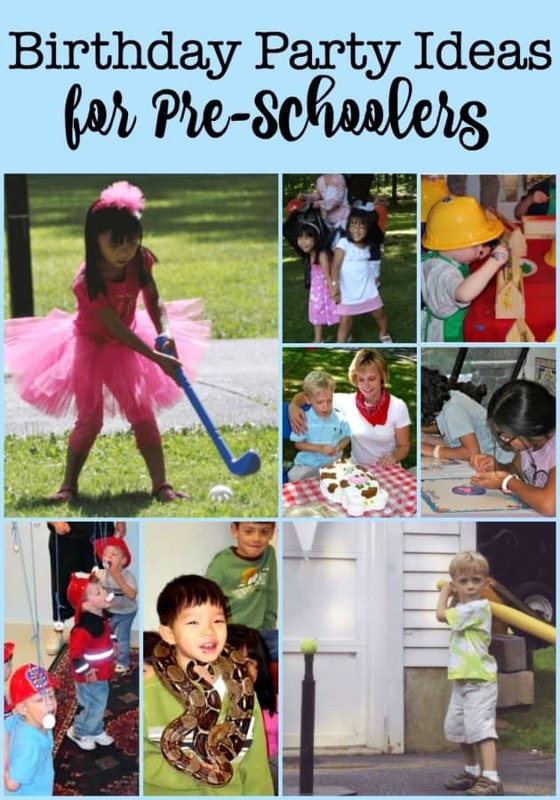 My birthday party ebook This is an affiliate link: MomOf6 earns a commission if you purchase, at no additional cost to you. contains printable party planning timelines and details how to plan warm-up activities, main events, and transition activities as part of your party! 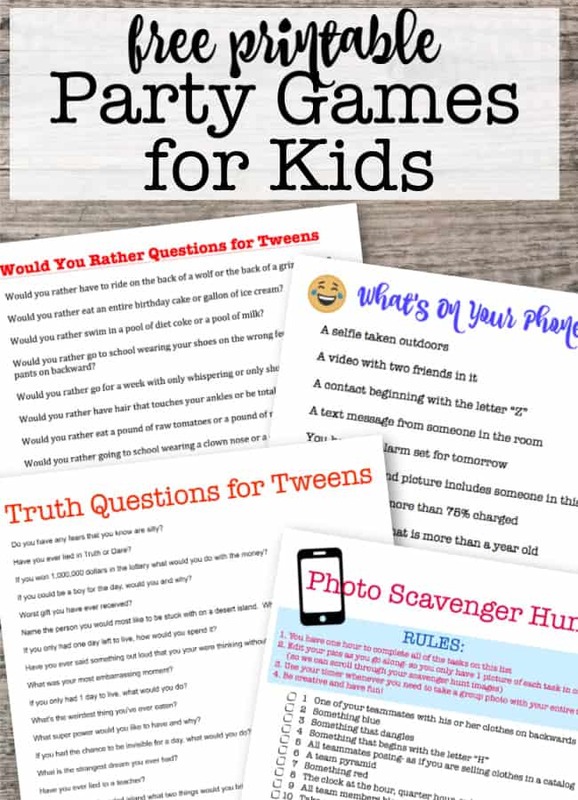 And be sure to check out my library of free printable party games for kids page that you can download and play at your kids birthday parties! When planning a party or get together for tweens, I always suggest that you have a few extra games or activities “waiting in the wings” in case things move along more quickly than you had planned- or one of your games falls flat with your group. If you are hosting a birthday party- know that most of the ideas below can be re-worked just a bit to fit any theme you choose. Get creative with naming the game or activity- with the materials you use, etc. But above all- remember that it is meant to be fun for your guests- it doesn't have to be Pinterest or Instagram-perfect! The 12 Best Board Games for Tweens! Sure- you can send an electronic party invitation- but how special and unique is that? I love to create invitations, thank you notes, gift tags, and more for my birthday parties using a photo editing site called PicMonkey This is an affiliate link: MomOf6 earns a commission if you purchase, at no additional cost to you. .
Be sure to check out my tutorial on How to Create Birthday Party Invitations Using PicMonkey! Creating personalized kids birthday party invitations and party stationery is easy, and is just one more way to make your at-home birthday parties special without spending a thing! Party decorations is an area that is so easy to spend too much money on- and truly- it doesn't add much to the party experience! Kids will remember the fun time they had with their friends, blowing out the candles on their cake, and laughing at the silly games they played- than they'll recall the fancy table settings! So I highly recommend sticking to a big bunch of helium balloons that you can place in small groups on the party tables, and at the mailbox (so guests will know they are at the right house). Add some streamers to the doorway, and maybe paint a banner on white butcher block paper that honors the birthday child. I suggest purchasing a sleeve of plastic table roll This is an affiliate link: MomOf6 earns a commission if you purchase, at no additional cost to you. that you can use for all of your tabletops and will last you for several birthday parties. It's much cheaper than buying individual plastic tablecloths. Cut out paper shapes using craft punches to create cute confetti for the tables, and just keep things simple! 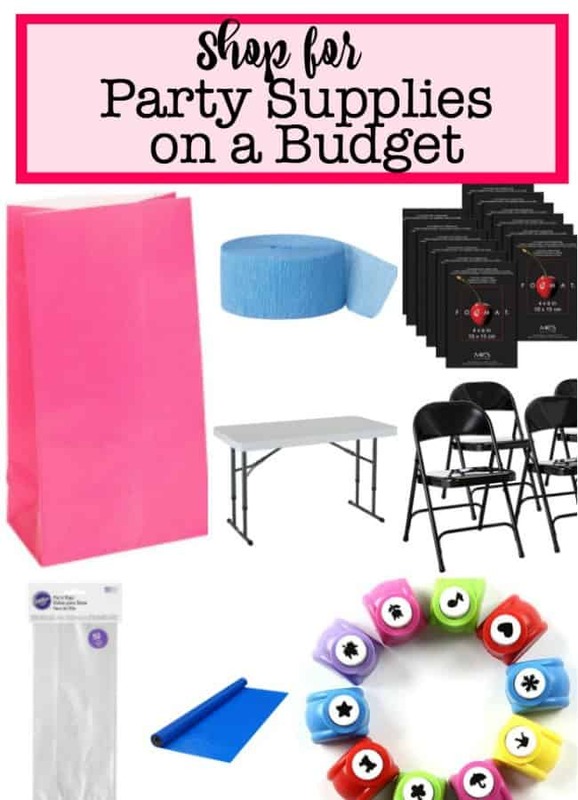 Amazon is a great place to score solid-colored paper goods and inexpensive balloons and streamers- you can check out my favorite party supplies from Amazon here This is an affiliate link: MomOf6 earns a commission if you purchase, at no additional cost to you. ! This is another place where you can spend a lot of money quickly- and truly you don't have to! Instead of ordering in pizzas for the kids, consider having them make these mini pizzas which you can bake while they complete a craft activity or a game. Another idea that we have done many times is to set up a pasta bar. I'll make two different kinds of noodles ahead of time- and then give the kids the choice to top them with red sauce or cheese sauce, and offer toppings like shredded mozzarella and meatballs. I'll serve this with a side of garlic bread and a make-your-own salad bar. It's inexpensive and the kids love it! If you are looking for some great easy birthday cakes that you can make at home, check out this post from Mom.me! And this post shares some great decorating tips and tricks for birthday cakes! Personally, I am not a fan of birthday party goodie bags filled with candy and cheap plastic trinkets. I know that my kids get excited about them when they receive them, but ultimately they throw away most of the candy, and the trinkets end up at the bottom of a toy bin. They just seem like a waste of money to me. What I love to do instead- is to make the birthday craft also be the party favor. So for a tie-dye party, the shirt is both the activity as well as the favor. For a spa party- we made our own lip gloss and foot scrub. For an art party- everyone went home with a sketchbook. At the beginning of the party- I assemble the kids for some fun and also some goofy group shots. While the kids are engaged in the games, I'll quickly scroll through the shots and pick the best one or two. I then edit them in PicMonkey- sometimes adding some text to the image- and then send them to my printer. I'll print them on 4×6 photo paper This is an affiliate link: MomOf6 earns a commission if you purchase, at no additional cost to you. 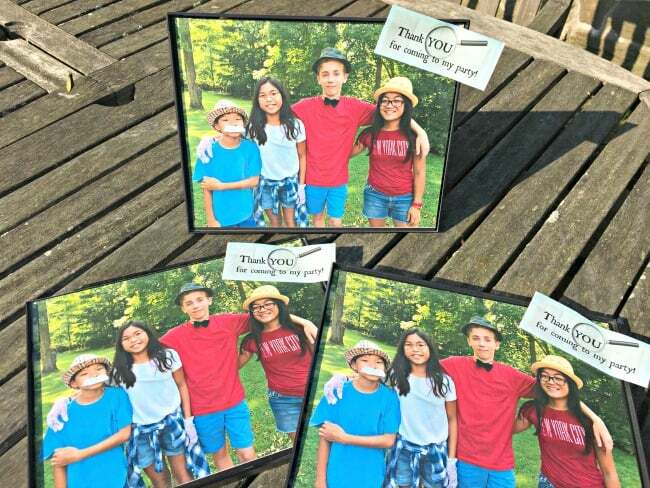 and then pop them into these picture frames This is an affiliate link: MomOf6 earns a commission if you purchase, at no additional cost to you. while the kids are eating lunch and cake. (If I'm short on time, I'll have the party guests help me put the photos into the frames). Add a cute “thanks for coming to my party” tag- and you've got a great birthday party favor that your guests will keep around for years! 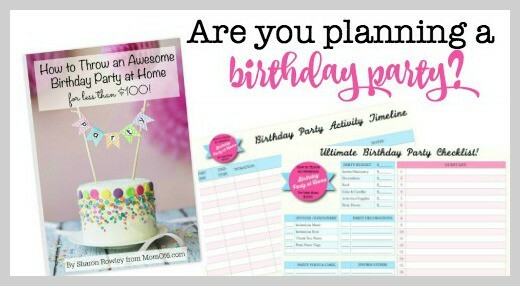 Are you in the middle of planning a birthday party? I wrote a book on planning birthday parties that I think you'll love! 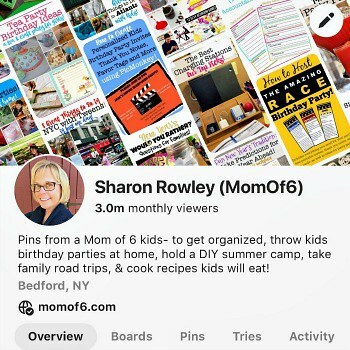 Check it out on Amazon This is an affiliate link: MomOf6 earns a commission if you purchase, at no additional cost to you. ! 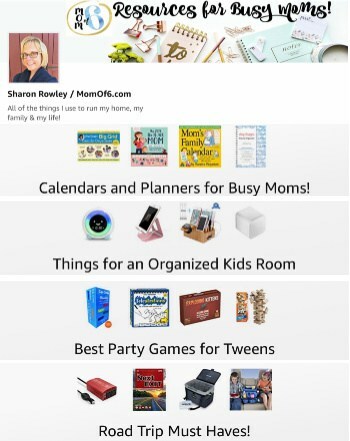 I hope that you found this page to be a great resource to you as you plan an awesome birthday party for your child! 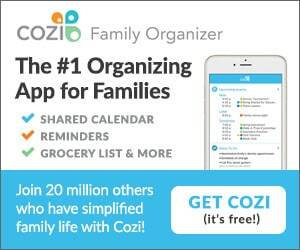 More Great Resources for Busy Moms!